with Power Pallet, biochar, and composting (and all the other Italian provincial pleasures). 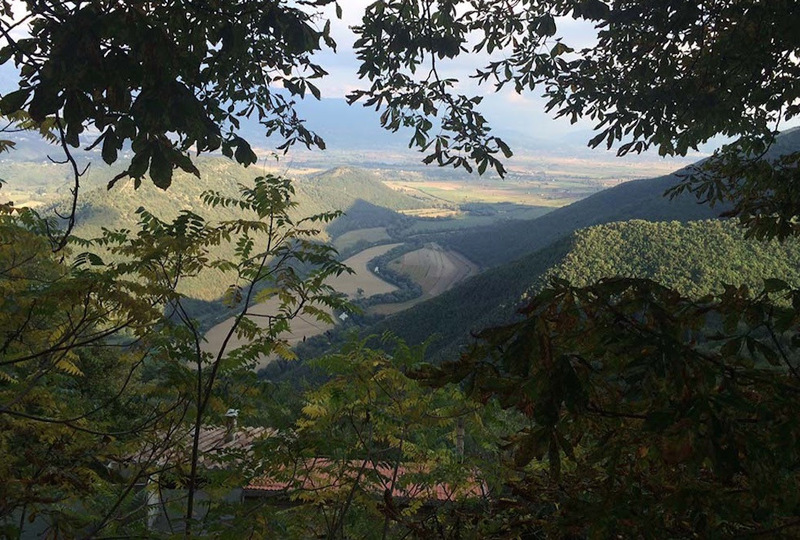 This is the Valle Santa / Reiti Valley, where the APL New Farms Labs is located. We’ve been running machinery at this site for about four years now, and using it as the headquarters for APL efforts in Italy and the EU. With our transition to the Local Carbon Network model of deployment, we’re now recasting this site as our second major full circle “waste-to-valve, sky-to-soil” operating hub. Those following our Local Carbon Network project will know that we’ve started to get some wonderful results at Gill Tract Urban Farm in the Berkeley Local Carbon project. Gill Tract has switched their onsite composting efforts to now co-compost with the LCN biochar, and the results have been a step change in plant vegetable growth and vitality. This co-composting with high temp biochar (biochar mixed in during compost making, not added post making) significantly increases nitrogen fixing, reduces N2O emissions, and introduces several multiplier effects which build soil carbon beyond the raw biochar carbon introduced. The impacts on plants and GHG gas management are consequential. Pictures and info can be found on the Local Carbon Network’s Facebook Page. Now we’re bringing this biochar co-composting process to our farm in Italy, and the rest of the full circle LCN engagements to the surrounding area. We have launched a Kickstarter campaign to fund this first EU Local Carbon Network, and hope you will help make this community based climate management demonstration possible. Many levels of sponsorship are available: from purchasing or donating single bags of biochar, to a 10 day learning holiday for the whole family at our farm in Valle Santa. Local Details: The Valle Santa / Sacred Valley name comes from saint Francis of Assisi, who visited repeatedly: the first time probably in 1209, then a long stay in 1223 and then another from the autumn of 1225 to April 1226. While in the valley, Francis represented for the first time the nativity scene, wrote the final version of the Franciscan Rule and probably also the Canticle of the Sun, but most importantly he founded the four shrines that are located at the four borders of the plain: Sanctuary of Greccio, La Foresta, Poggio Bustone and Fonte Colombo. https://en.wikipedia.org/wiki/Rieti_Valley. The Sanctuary of Greccio is very close to our farm, and available on your morning walk if you choose to join us for this learning holiday. 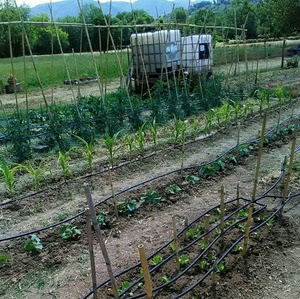 You will have a whole country farmhouse for yourself, a private guide/driver, day trips, all meals and lessons covered. The rest of the days will be spent learning the Power Pallet operations and related co-composting with the biochar output and planting. Or doing relatively nothing on the porch overlooking the valley. To receive pictures of the location or discuss the details of a potential itinerary please contact silvia@localcarbon.net. The Local Carbon Network Big Idea. And the Terni area specific project. All Power Labs is now deploying our machinery through Community Based Carbon Sequestration projects to maximize climate impact, full circle resource use, and benefits to the local community. These projects are a collaboration of People, Plants and Machines, and return a variety of social and environmental benefits to the local communities where they operate. 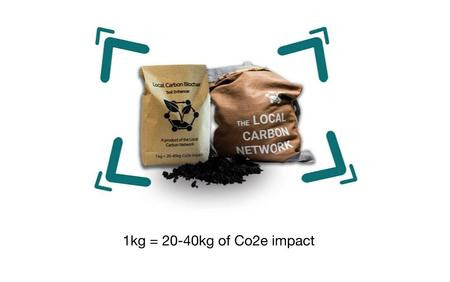 The Local Carbon Network uses locally sourced green waste byproducts to make clean electricity and heat, then donates the byproduct biochar to local community gardens and agriculture. These combined actvities move carbon from “sky-to-soil” for a strong Climate Impact, improve soils for accelerated plant growth, and return commercial benefits to local participants during the process. Think local food economy and farmers’ market; but now transacting local carbon from sky-to-soil-to-value, via the hands of local citizens and organizations. For our Terni project we’ve signed up local farmstay facilities, a health food store, a fair trade store, meeting spots to hold educational events, technical partners, and community gardens – all within a 20km radius of downtown Terni. This will be the demo project and proving ground for all future Local Carbon Networks in Europe. And . . . we’ve already started. 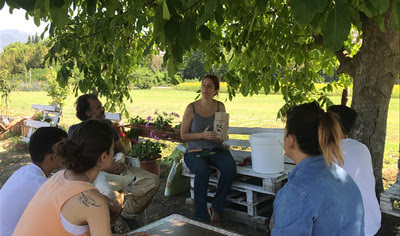 In the picture below we’re doing an instructional presentation at Orti in Città Terni community garden in Terni, Italy. They will be receiving their first load of biochar shortly. 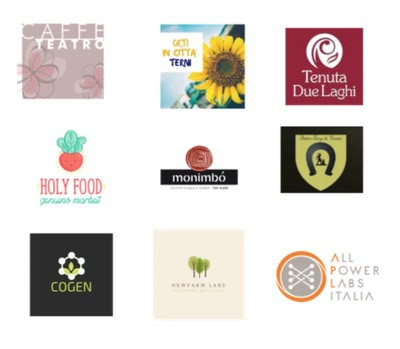 Our current project partners are below. We invite others who want to join us around Terni, as well as others who want to start Local Carbon Hubs in other Italian or EU regions. The Local Carbon Network project is building a replicable, scalable, financially viable model for climate change mitigation. If you are curious about the specifics of the process or the climate benefits, here is our FAQ. If you are interested in starting a Local Carbon Network in your community, write to silvia@localcarbon.net or austin@localcarbon.net. 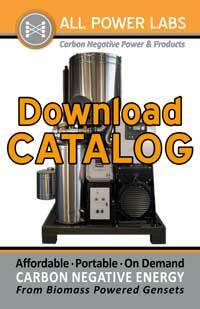 We will demonstrate our X-PRIZE winning WEDEW watertainer system at our Open House this Friday Nov 9th. We will not have the full container available (as it is currently in Los Angeles) but will have an second assembly with all major components operating outside at APL Berkeley. 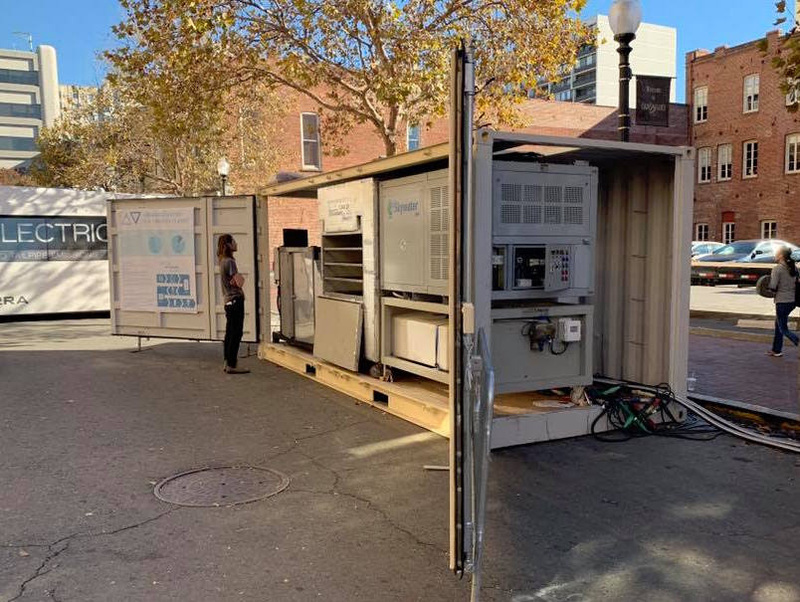 If you missed our annoucement about this novel biomass based atmospheric water generation solution, and our recent win of the Water Abundance X-PRIZE as a result, see here for the details. Join us at the Open House to take a look personally at what we did to win this global technology contest. The event is free. The food and drink are free. Please RSVP to our event page here to be part of the event and see part of our collective climate solution!